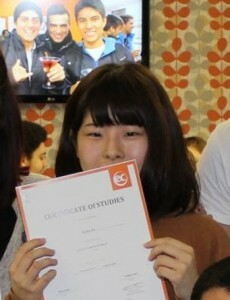 Ryoko Oe is a student from Japan who came to EC to learn English in Canada. I wanted to study English and French, so I decided to come to Montreal. I could get enough chance to talk with people in English. I joined only Sugar shack event, and it was good and funny. I liked teachers and staff in the office. My host mother was a very nice person, and she always tried to understand my poor English. My new friends came from Colombia, Korea, Japan and so on. Check out our specialty classes such as the Business English Classes in Montreal!